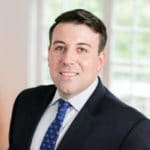 On Tuesday, April 17, Family Law Attorney, Adam Tanker will be a featured panelist for the Bucks County Bar Association CLE: “Clients with Mental Illness- How to Deal”. This course will help attorneys identify clients with mental illness, and give tips on how to deal with those clients. The panelists will review the Rules of Professional Conduct and talk about how they play into representing clients with mental illness. Adam H. Tanker is an attorney with the law firm of MacElree Harvey, Ltd. in the Doylestown office. Adam focuses his practice on all aspects of family law matters including alimony/spousal support, divorce, equitable distribution, marital agreements, child support, and child custody. Contact Adam at (215) 309-4021 or [email protected].